? ? Volume Booster - Bass Booster with Equalizer ? ? will increase volume when you want to make the speakers on my phone sound louder, when you want louder music volume boost and bass booster. 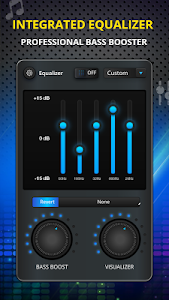 Volume Booster - Bass Booster with Equalizer is an excellent volume control app that controls Android phone volume for all sound streams (music player, voice, alarm, system). You can easily boost your phone sound to maximum by just one key. This application can boost volume on phone with only one tap without distorting the sound. With Volume Booster - Bass Booster with Equalizer you can create great sound booster, speaker booster when listening to music, music player, watching movies. ? ? Features of to make Volume Booster - Bass Booster with Equalizer work for volume louder ? ?
? Equalizer sound booster, bass booster.
? The "System Sound" in this Speaker Booster include ringtone sound, notification sound, DTMF and other system speaker booster, sound booster.
? Adjust and amplify sound quality with built-in sound equalizer, bass boost and get live visual audio readings of your current music level.
? Music Equalizer EQ: Volume Booster - Bass Booster with Equalizer enables music booster, speaker booster and you can adjust your sound booster with a five-band equalizer.
? Bass boost of any audio device with just one touch. 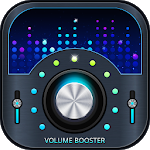 Volume Booster - Bass Booster with Sound Booster is an excellent volume control app that controls Android phone volume for all sound streams(music, voice, alarm, system).
? Volume Booster - Bass Booster with Equalizer is absolutely the most amazing sound booster and music booster in 2018. You can not only boost your volume and control volume, but also play music with equalizer and bass booster, volume boost like megaboom. You can use all these professional functions free in Volume Booster - Bass Booster with Equalizer. Sound Louder will volume boost to max and increase sound quality according to your android device. 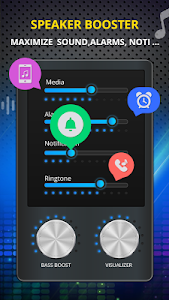 Sound Booster will let you adjust sound booster effect levels in order to get the best music and audio megaboom coming out of your android Smartphone or tablet. 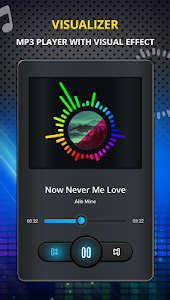 Start your favorite music player directly from speaker booster. Music booster enables you to adjust your sound tracks with a five-band equalizer. There are 10 professional music genres presets for your choice; they are Hip-hop, Rock, Dance, Pop, Latin, Metal, Classical, Flat, Normal, and Custom. Thanks to the professional audio decoding technology, the bass tuner and virtualizer will improve your sound quality to let you enjoy the best music free. You have no need to download a music player and equalizer separately from now on. Embedded music player allow you to play all your music and using the EQ and music spectrum at the same time. 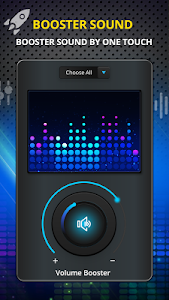 Volume Sound Booster is free. Let’s download Volume Booster - Bass Booster with Equalizer and share the way how to make your phone volume louder to friends. Similar to "Volume Booster - Bass Booster with Equalizer"